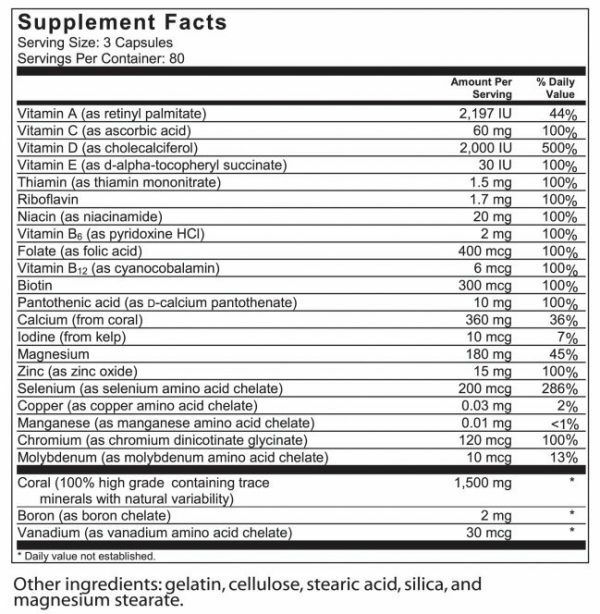 CAUTION: Not all Coral Calcium supplements are alike! When it comes to pedigree, quality, and value – the "Original" is still the best. 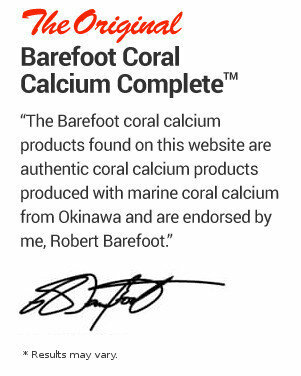 Barefoot Coral Calcium Complete utilizes ecologically harvested marine grade coral calcium from Okinawa, Japan, and is endorsed by Robert Barefoot. Compare Barefoot Coral Calcium Complete To The Competition! When it comes to choosing a coral calcium supplement, go with the original and most trusted brand: Barefoot Coral Calcium Complete. It’s a safe, effective way to help protect and support your bones, joints, digestive health and more.† Try it today! Business is built on trust, and we want to earn your trust every day. That’s why we back every product we sell with a One Year Unconditional Satisfaction Guarantee. If you are not 100% satisfied for any reason, simply send the product back to us within one year for a complete refund of your purchase price. No hassle, no questions asked. September 7, 2018 | By Danielle L.
THIS IS MY FAVORITE CALCIUM! July 28, 2018 | By William B. What are the benefits of Barefoot Coral Calcium Complete? 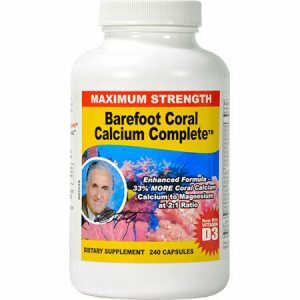 Are there other vitamins in Barefoot Coral Calcium Complete besides Vitamin D3? Yes. It also contains Vitamins A, C, E, Vitamin B6, and Vitamin B12. Can I take The Original Barefoot Coral Calcium Complete with my medication? How is the coral calcium in Barefoot Coral Calcium Complete harvested?